Why I wrote Dead Dreams. I wanted to write a story for young ladies –girls between 13 and 18, --on the cusps of adulthood, but who are not quite out of the house yet. Dead Dreams is a suspense thriller but it is so much more. Without being preachy Dead Dreams hopes to impress upon the young readers the deceit and manipulation out there in the world. Having homeschooled my children and being around other girls coming from a more sheltered lifestyle I noticed that in their innocence and youth they tended to jump onto to things that look attractive without weighing hidden consequences. I wanted to explore possibilities that could be present in each young person as she travels in this journey of self-discovery and finding out for herself, when enough is enough; that limit that separates what's acceptable from too dangerous; and the possibilities these choices could lead to. Dead Dreams is a story about Brie O'Mara, a good girl; someone who'd never even gotten a traffic ticket, even a Miss Goodie Two-shoes. But, let's face it; we can all be tempted, just a tiny bit. And sometimes that's all it takes to have things spiral out of hand. I have always enjoyed a good thriller mystery so I wanted to write a young adult book that has a strong message yet is still filled with intrigue, mystery, and suspense. Hence, Dead Dreams. It is a part of a series, and the first book leaves questions that will be answered in book 2. Word of caution: if you would like the ending of the books you read to tie nicely in a bow, Dead Dreams, Book 1, is NOT for you. It ends with a cliff hanger and is intense. All the questions will, however, be resolved in Book 2 which should be out in the summer of 2014. 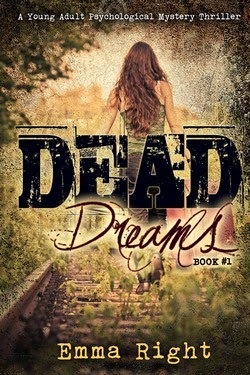 Dead Dreams, Book 1, will be on sale for 99c on Amazon Kindle from May 1-16.